Starting at an altitude of 1750 meters in the Yamaboku Wild Snow Park, the Tacochi Course is something of a legend, running over 13kms down to Yamada Onsen below. Completely ungroomed, this is Japan’s longest recognized off-piste run. Over the 13km, the course drops 800 meters with several further courses splitting-off the run for more advanced snowboarders and skiers to cut their teeth. On a clear day the views of the Japanese Northern Alps are outstanding and will only add to the experience of a seemingly endless and near empty ski field. This place is “wild” in every sense of the word and it is not unusual to encounter wildlife along the course. With guided tours available, the Tacochi Course is waiting to be discovered but do so with caution and is only recommended for intermediate and advanced snowboarders and skiers. Open from January until April, snow conditions are usually at their best between January and March. 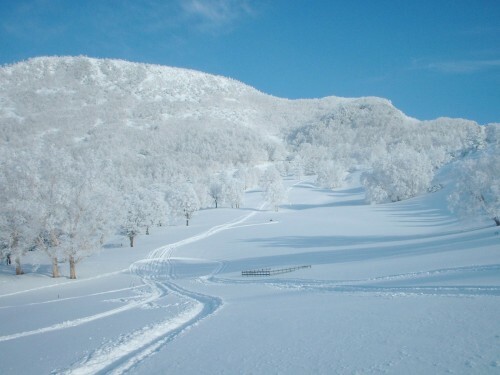 To access the course, take the 2nd and 3rd chairlifts to the top of Yamaboku Wild Snow Park. 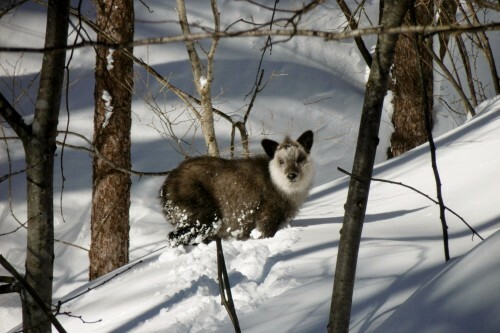 If you don’t have a day-pass for Yamaboku, you can pay for individual lifts – ¥500 per lift. Once you come off the lift, the Tacochi Course is clearly marked. The course takes you back down to nearby Yamada Onsen Kids Ski Park. At the end of the course you will need to walk up the hill – approximately 5 minutes – back into the ski park and the shuttle bus. Via public transport from JR Nagano Station: using the Nagano Dentetsu Line headed to JR Yudanaka Station and get off at Suzaka Station. At the station, take the bus bound for Yamada Onsen, approximately 30 minutes and get off at the final stop Yamada Onsen Kids Ski Park. From there, a shuttle bus runs up to Yamaboku Wild Snow Park.